Gabe (Rufus Sewell) heads off on a business trip but never returns, leaving his wife (Gillian Anderson) and young son Errol with no clues as to what happened to him – he never checked out of his hotel and has completely disappeared. 12 years later his wife still hasn’t gotten over what happened, while the massively intelligent Errol (now grown up to be Haley Joel Osment) is trying to make his way in the world as a young adult. 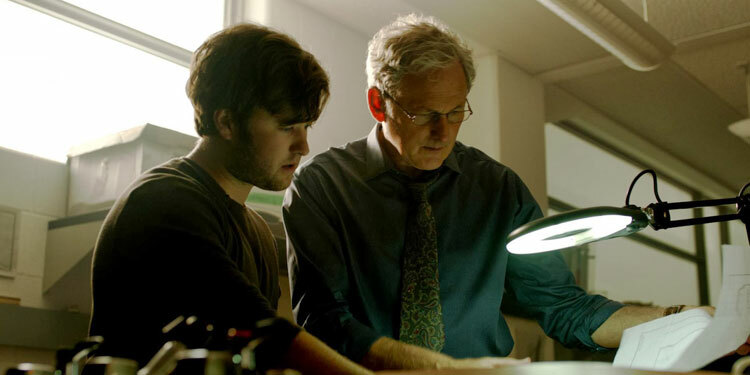 Then Errol’s grandfather (Victor Garber) says he thinks he knows what happened to Gabe – he has information that Errol’s dad managed to use a stable wormhole to travel back in time to 1946, but was mugged and killed there before he could return. At first Errol thinks this must be nonsense, but then realises that if it is true, he might be able to recreate his father’s work, go back in time and ensure that the events of the past 12 years following his dad’s disappearance never happened. 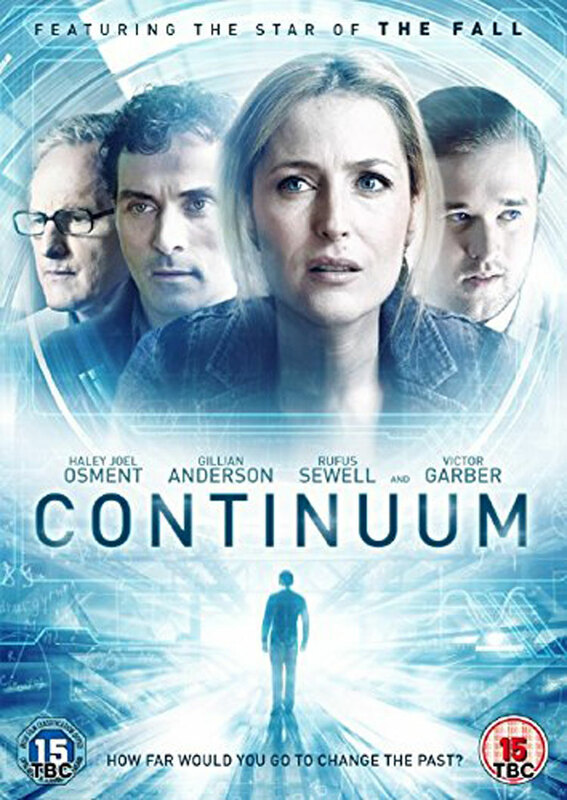 There are a lot of ideas floating around in Continuum, but the problem is that it hasn’t properly thought through what it’s doing. It does try to talk its way around some of its intellectual shortcomings, but it doesn’t do all that well, from its time travel loops to its talk about the repercussions of altering the past. 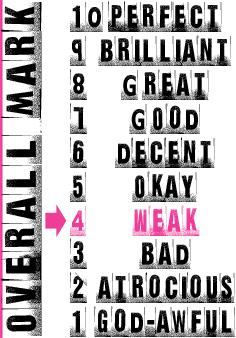 This might have been less of an issue if it could have had a killer ending, but what it seems to think is smart is actually slightly nonsensical. Part of the problem is Errol himself, who seems barely effected by the dramatic events around him, except when the script needs him to. It ensures that rather than being pulled into the story, it’s far too easy to get hung up on its flaws. Haley Joel Osment does his best, but he’s not given a huge amount to work with. It’s not completely hideous, but Continuum feels like a bit of a missed opportunity. There are the kernels of all sorts of good ideas here, but they don’t go far enough. And I ought to also just say it’s a bit odd seeing the little kid from The Sixth Sense all grown up and with a hairy chest. (Oh, and don’t be fooled by the DVD cover, as Gillian Anderson has a smaller role than that suggests). Overall Verdict: Lots of good ideas and a talented cast can’t make up for the fact the film itself knows it’s onto something interesting but never quite works out what that is.